Drag to bookmark bar to install. Create lists of the things you want. Share them with the people you love. Surfing around and come across something you like? Simply add it to a new, or existing, list by using our bookmarklet. Hunting for that perfect item, but want to find the best deal? 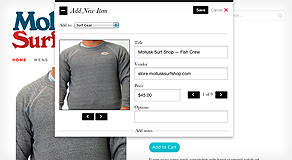 Add items from multiple sites and review your findings later in one simple list. 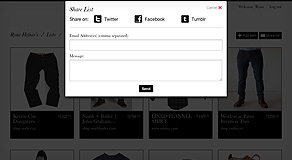 Once your list is complete, easily share it with your family and friends via email, Facebook, Twitter or Tumblr. These are some test options. And here are some test notes. © 2011 - 2019 Listly, All rights reserved. A Rock Kick Co., LLC company. Made with ❤ in Brooklyn.